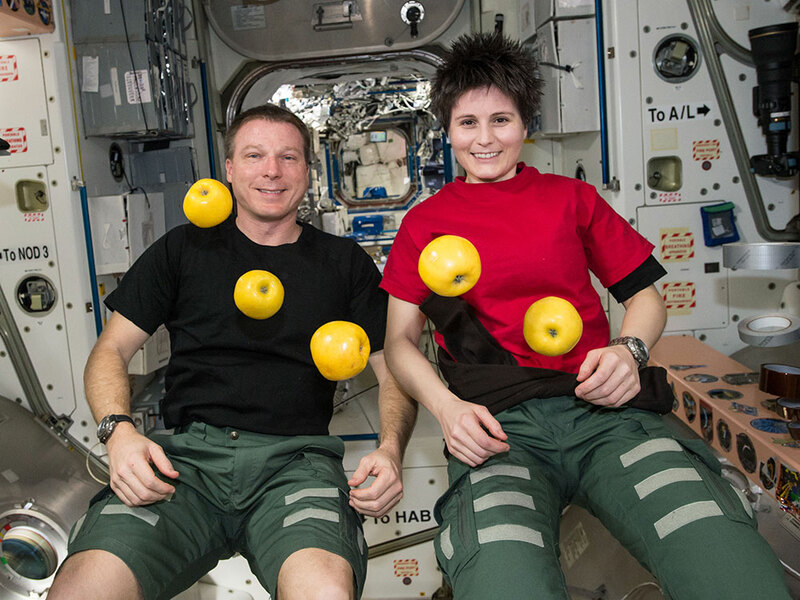 The Expedition 42 crew worked Wednesday with fruit flies, a humanoid robot and a Dragon spacecraft. Also, Europe’s Automated Transfer Vehicle-5 fired its engines for nearly five minutes, slightly lowering the station’s orbit to prepare for an upcoming ISS Progress 58 resupply mission. 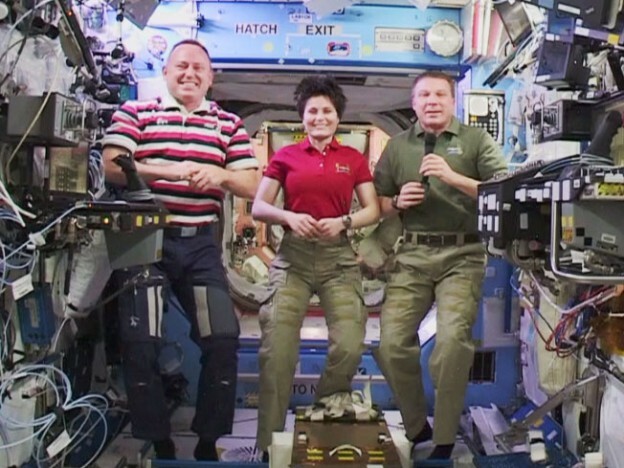 Commander Barry Wilmore and Italian astronaut Samantha Cristoforetti packed gear inside the SpaceX Dragon private space freighter for retrieval on Earth. 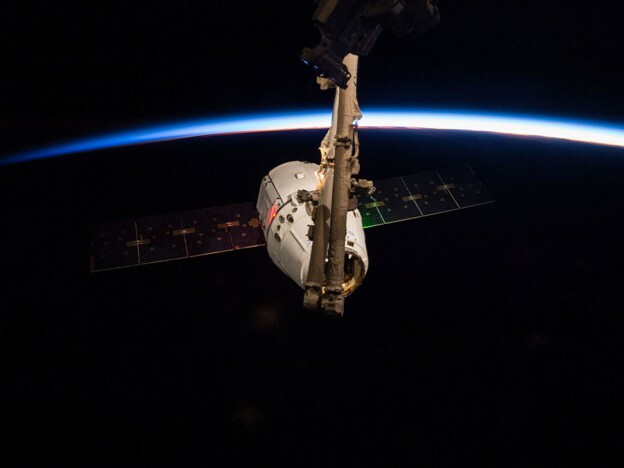 The Dragon will return to Earth on Feb. 10 when it will splashdown in the Pacific Ocean for recovery off the coast of Baja California. Cristoforetti later fed fruit flies for an experiment studying their immune system as a model for a crew member’s susceptibility to disease in space. Flight Engineer Terry Virts unpacked Robonaut in the Destiny then powered up the humanoid robot for a mobility test during the afternoon. Its legs received power for the first time Wednesday. 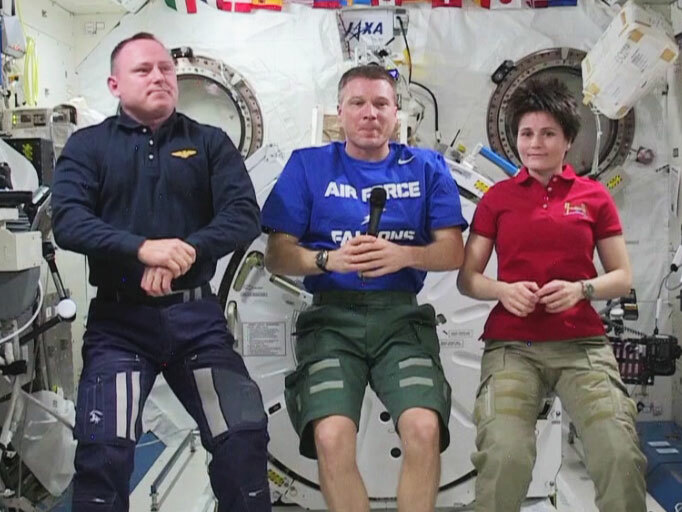 Virts monitored the leg movements in conjunction with operators on the ground. 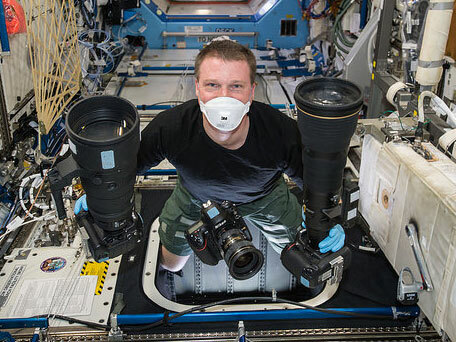 NASA astronauts Terry Virts and Barry Wilmore are getting a pair of U.S. spacesuits ready for a set of spacewalks beginning in February. 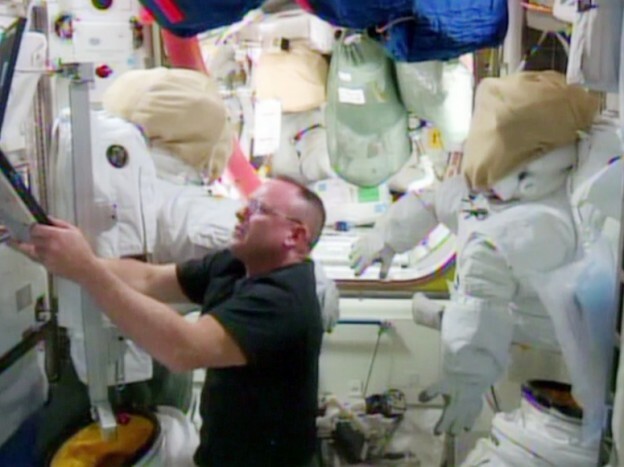 Throughout Tuesday in the Quest airlock, they recharged suit batteries and checked out fans and other suit components. Virts also joined Italian astronaut Samantha Cristoforetti transferring cargo to and from the SpaceX Dragon commercial space freighter. 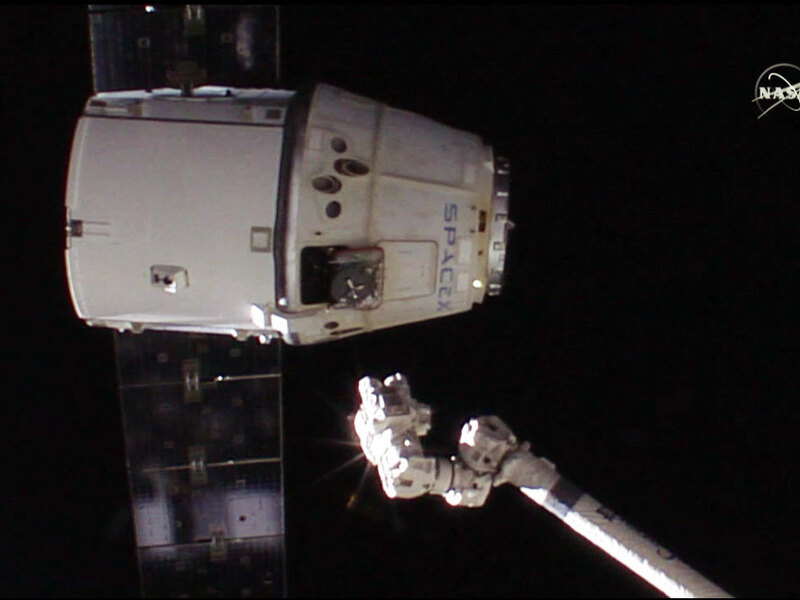 Dragon completed its delivery when it was captured and berthed to the Harmony module Jan. 12. It will return to Earth Feb. 10 filled with science and other gear for recovery in the Pacific Ocean. Another spacecraft attached to the International Space Station, Europe’s Automated Transfer Vehicle-5 (ATV-5), will fire its engines Wednesday slightly lowering the station’s orbit. The lower altitude places the station at the correct altitude to receive the ISS Progress resupply craft when its launches Feb. 17. The ATV-5 will end its mission Feb. 14 when it undocks from the Zvezda service module for a fiery destruction over the Pacific.